Anyone with a log burning stove will likely have had the temptation to round up any old bits of timber they can get hold of and chuck them on the flames: from trees lopped in your own garden, to fallen branches from the surrounding land or even tired old bits of furniture. Burning wood you’ve sourced yourself can instil a warm glow of survival-instinct satisfaction, but you do need to be careful about how you collect wood and what you burn: not only to make sure you get the best possible fire but also so you protect the stove, and yourself, from dangerous gases. 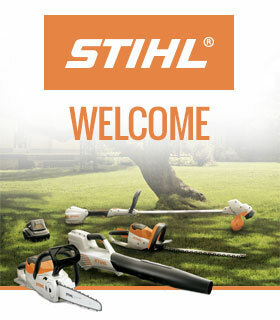 The first thing to avoid is any wood that has been treated. Which means the old kitchen stool should be sent to the recycling centre instead. Paint, varnish and glue will all release toxic chemicals that shouldn’t be anywhere near your living room and even furniture that appears free from such substances is likely to have been pressure treated at some stage, which will cause similar problems. Offcuts from untreated wood you’ve been using to build things with, or old palettes, are fine, but make sure any nails and screws are removed first. If you live by the sea then it’s more bad news: driftwood collected from the beach is to be avoided: not only might it harbour chemicals from its previous use, but it will definitely contain salt which is corrosive and releases toxic fumes when sent up in flames. 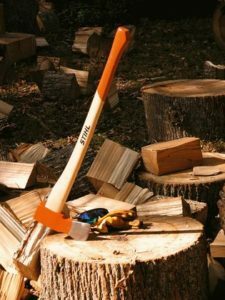 When it comes to collecting wood in its natural form – chopped off a tree – there are other things to consider. The most important thing is making sure it’s properly dry and has been suitably seasoned (see below) and that you’re using a variety that is naturally safe (again, see below). Small branches and twigs are ideal for kindling, providing they’re dry and have all greenery removed, but try to avoid anything that has been the subject of chemical treatment, such as anti-disease sprays, as these will include toxins. Seasoning wood is the process of leaving chopped bits of timber to naturally reduce their moisture content until they’re ready to burn. Most wood has between 30% to 45% moisture which should be reduced to less than 20%. You can use a wood moisture gaugeto measure the moisture level in wood before you burn it to be sure that it is dry enough. 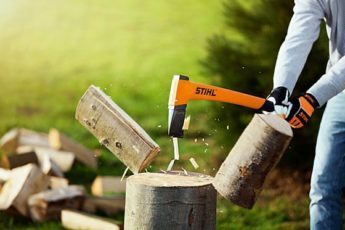 If you’re chopping a tree for seasoning then winter is the best time to do this as it’ll be in its dormant period with no sap rising, giving you a better starting point to begin. Chop the wood into fire-ready pieces(smaller lumps dry quicker than big lumps) and make sure it’s stacked in a way that air can circulate throughout. 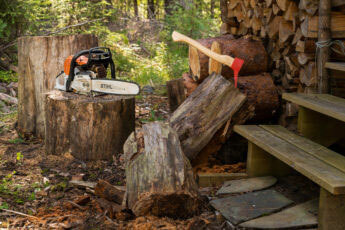 If you’re lucky, depending on drying conditions, your winter-chopped wood could be ready for the fire in the following winter, but in most conditions, it’s worth leaving it for at least 18 to 24 months. There are a few natural woods that will produce toxic gas if burnt (such as laburnum) while other types don’t burn especially well. In general, soft woods – such as pines and furs – aren’t as good on the stove as hard woods. They have a high creosote content and will need a much longer time to dry; on the fire they’re likely to burn quickly, generate an instant high level of heat and tend to spit – all things you want to avoid. If you have access to such wood then you’re best off drying it out and using it as kindling. One of the most popular woods for log suppliers and stove owners as it contains such a low moisture content, so it takes less time to season. Gives off a nice flame as well as heat. Seasoned beech is another popular flaming beauty. Keep hold of those apple tree prunings – when dry it burns nice and slowly and gives off a pleasant aroma. Another good burning wood that is well suited to stoves. It needs to be well seasoned but if you’re after a wood that burns very slowly with a minimal flame then it does the trick. 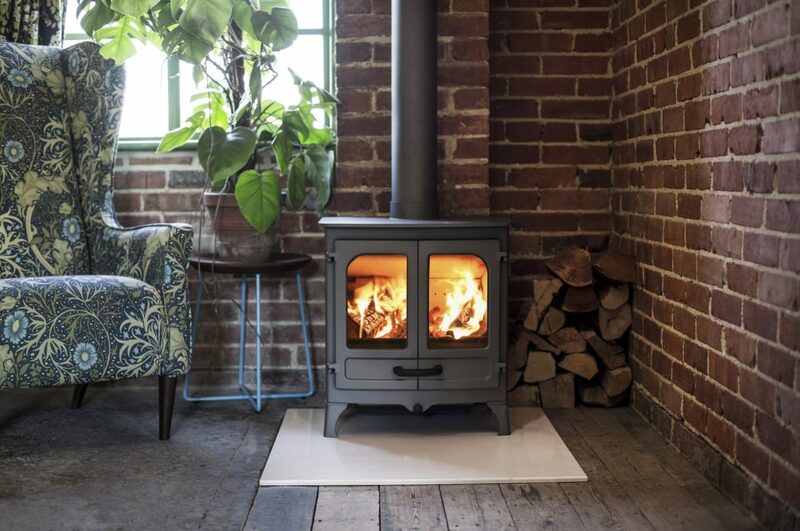 Do you have a log burning stove? 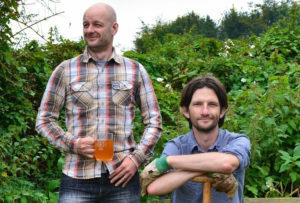 If so do you have any tips on how to collect wood? Let us know in the comments! 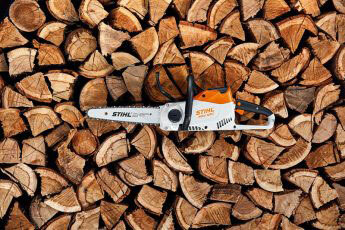 Looking at your MS 251 Chainsaw specs, the Power to Weight (Mass) ratios quoted are really Weight to Power ratios. Intuitively just scanning the data higher Power to Weight ratios are better but not the way your values are quoted. The 251 C-BE at 5.1 kg with the same power as the standard 251 at 4.8 kg looks better but is not according to accepted practice for Power to Weight. Thank you for the comment. While power to weight is a common measurement, you are right that we quote our data on kg/kW which is clearly mentioned in the technical specifications for each product on our website. A lower ‘power to weight’ or kg/kW measurement is therefore better.